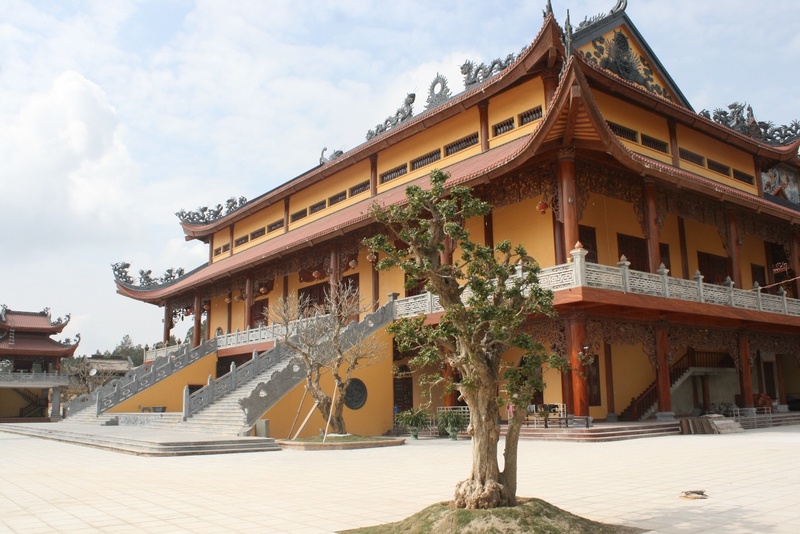 Ba Vang pagoda has another ancient name called Bao Quang Tu which means the precious light. 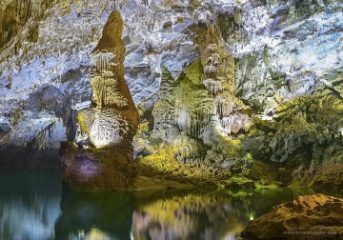 It was established in 1676 in the back of Thanh Dang mountain and about 340 meters in height when compared with sea level. Being located in Quang Ninh province, the front of it is the lake and the behind is the green pine forest. This pagoda has been restored 4 times to have such magnificent architecture. 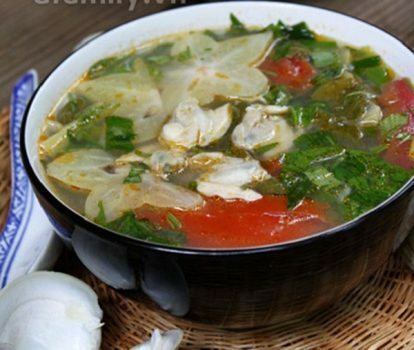 Surprisingly, the process of restoring consists of many spiritual and mysterious stories. Ba Vang pagoda has the uniqueness like the others in the North of Vietnam. It concludes 3 main rooms and 1 seraglio. Moreover, the system of statues which were made completely by wood is recognized as the biggest one in Vietnam. All of them are more than 2 meters in height. Besides the main buildings, there are many other structures such as the area for preaching, library, bell floor and so on. They were designed and arranged suitably and continuously to bring convenience to the monks. 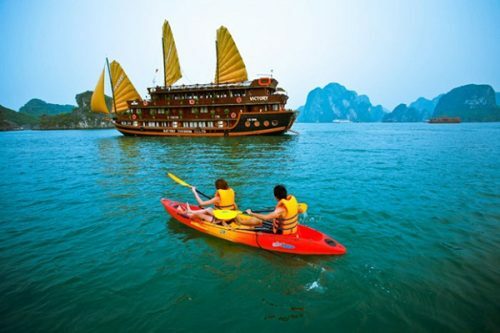 For recent year, Yen Trung lake has been considered as one of the most attractive destinations for the young and anyone who want to get on well with the beautiful nature. Being located in the entrance of Quang Ninh, this lake has the special features with the peace and fresh space. 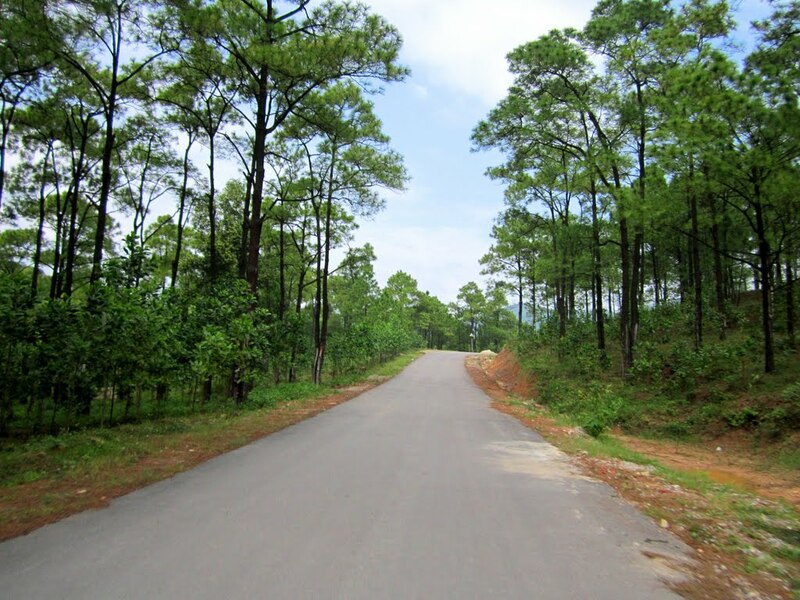 Moreover, it is surrounded by the green pine forest, which makes travelers imagine Tuyen Lam lake in Da Lat. Especially, this lake is very famous for quiet surface and gentle current of water. 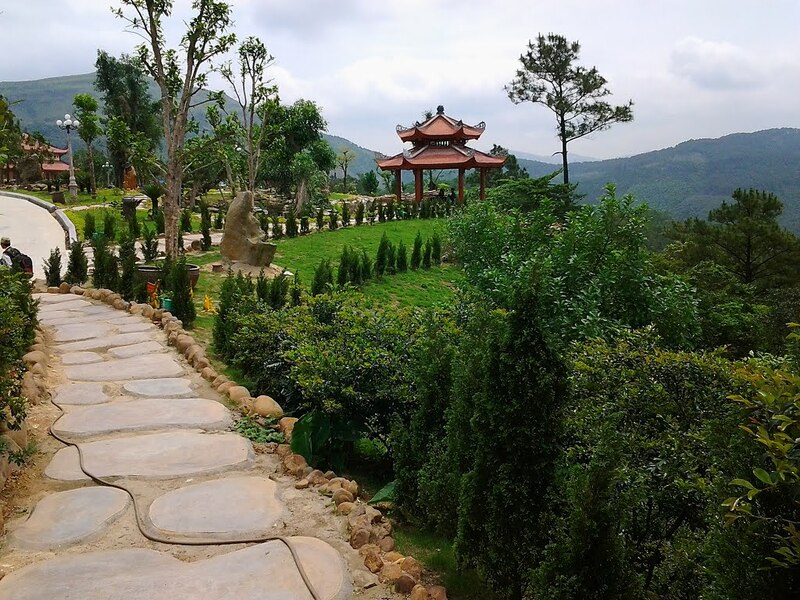 Two sides of the road which leads to Yen Trung lake are full of flowers and butterflies, which makes this space become very poetic and romantic. Furthermore, there are not many hotels and restaurants around this lake, but tourists can see some houses on stilts which serve some kind of food and drink. These houses are enough to welcome visitors to the rural life and beautiful nature. Tourists can travel Yen Trung lake by many means of transport, but the most interesting one is bicycle. By this way, you can feel fully the fresh air of a special destination which is separated from busy life and crowded city. Coming here, tourists can rent a small boat to row to the land in the center of the lake. The average price for a small boat is about 25,000 dong per hour. On this particular land, you can pitch the tent and experience the feeling of Robinson on wild island. Besides, you can hire a bicycle to explore the beautiful landscapes here. 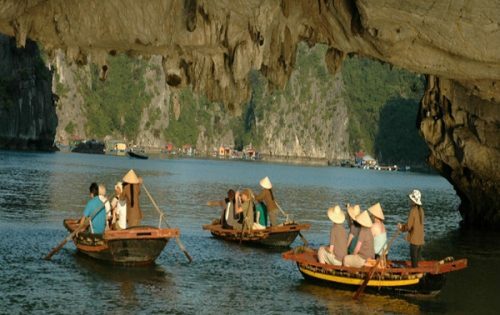 Quang Ninh with its beautiful and wonderful destinations is one of the most ideal choices for your holiday. 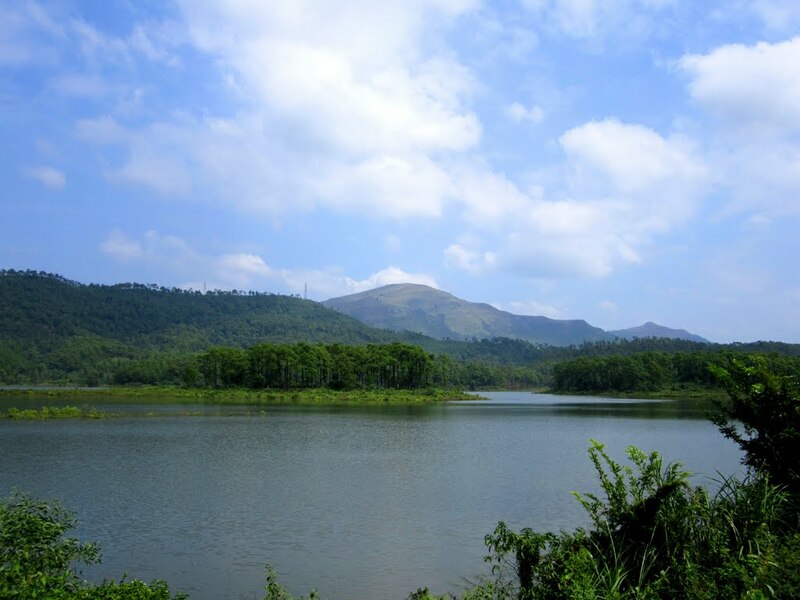 Coming here, you will have opportunity to have the interesting and memorable experience with nature. Many things amazing are waiting for you in this land.